Delilah is a new British brand launched this year, created by three friends in the beauty industry (makeup artist, beauty buyer and photographer). 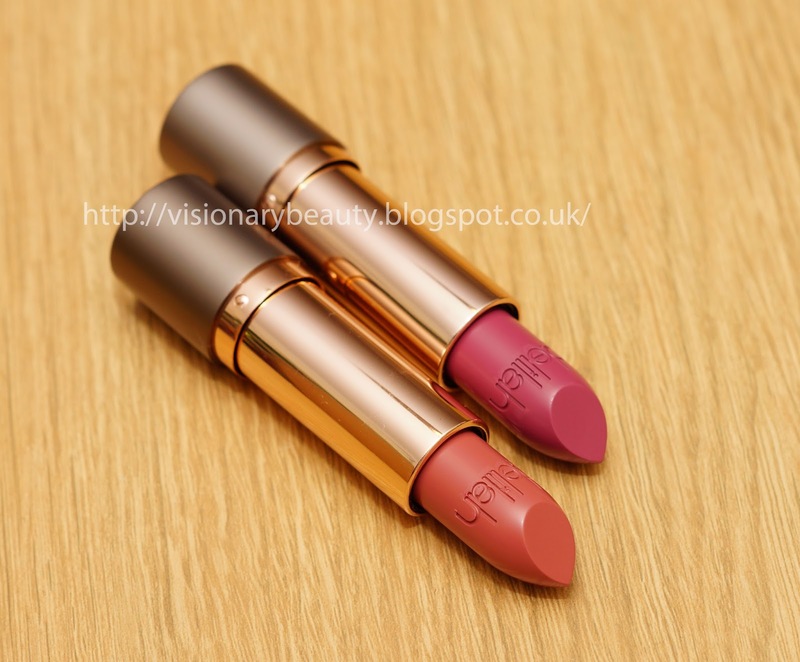 I've seen few reviews of the products however when I looked at their website I was immediately drawn to the colour palette of wearable, everyday shades. The range has a boutique style about it and the packaging comes in eye catching metal containers, some with rose gold accents. I immediately put the brand on my Christmas wish list so was delighted when my mother bought me a few items. 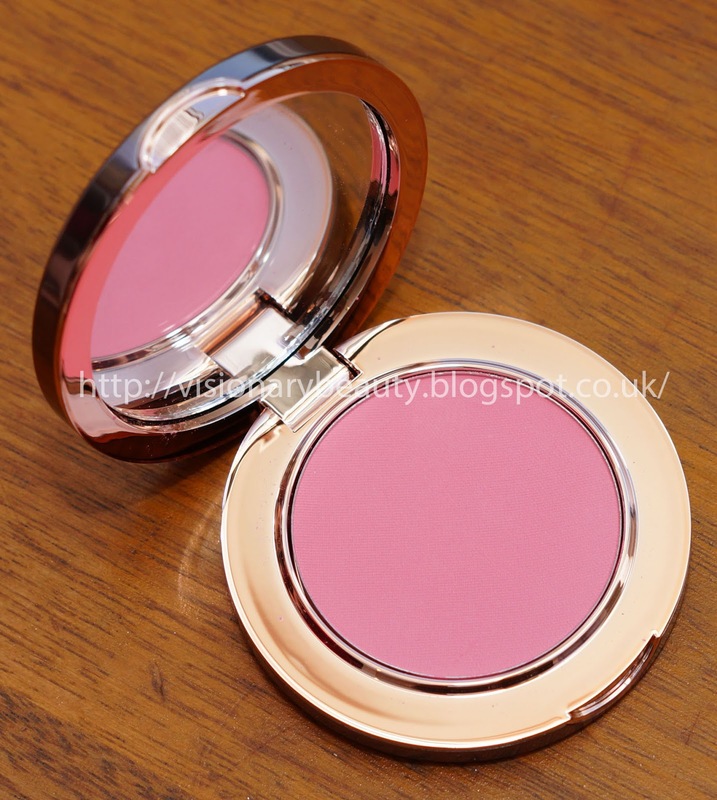 First up of the three blushers in the range I got Lullaby (£26). Its a pigmented pink with a hint of warmth and matte/satin finish. 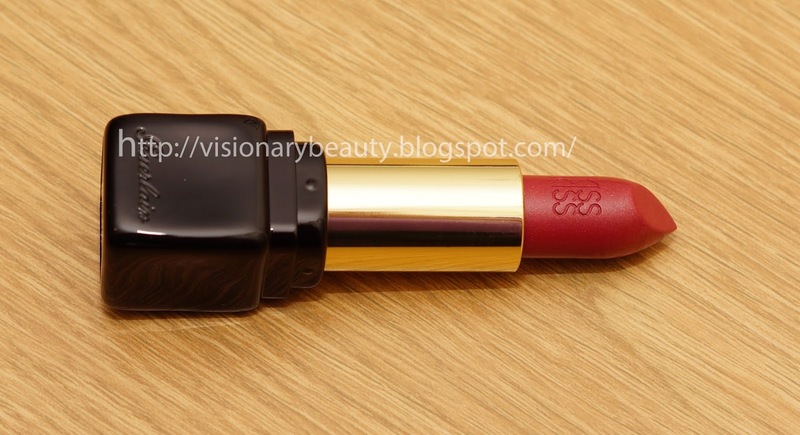 It has a lightweight, silky texture and lasts the whole day with only very little colour fade. 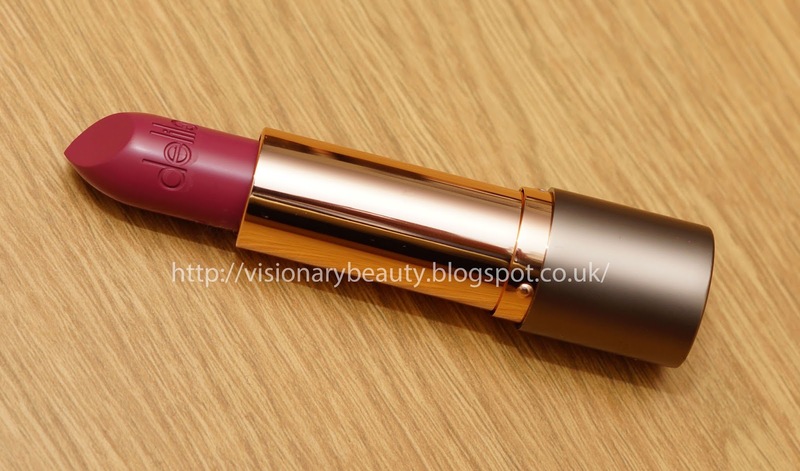 Though the colour is not necessarily unique it just applies so beautifully on the skin with no need for blending, it really is a pleasure to use. 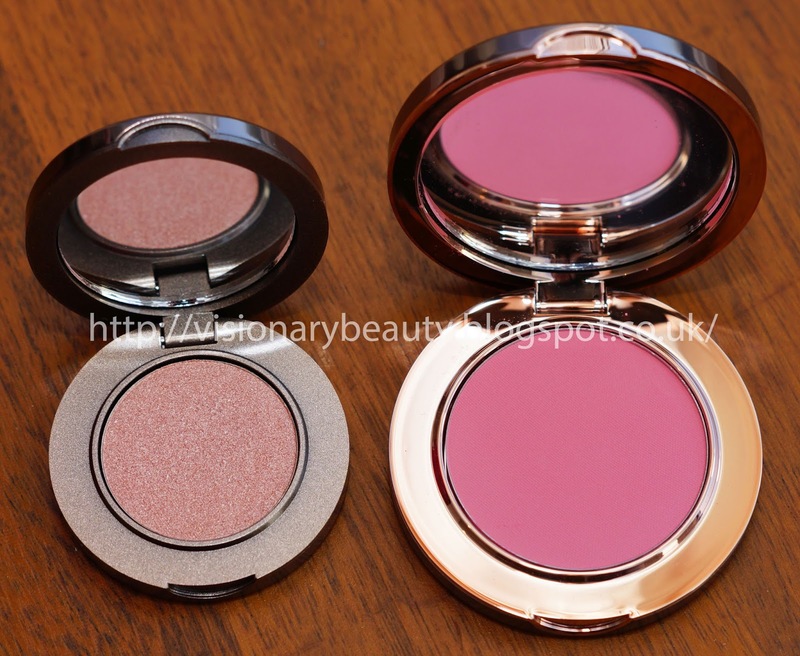 From the eyeshadows (which are available in matte or shimmer finishes) I got Flamingo (£20). Its a shimmery, slightly icy champagne peach. It has a lightweight, smooth, creamy texture. Its not powdery in the least and there is no fall out. It applies really well, non drying nor patchy and is easy to blend and layer. 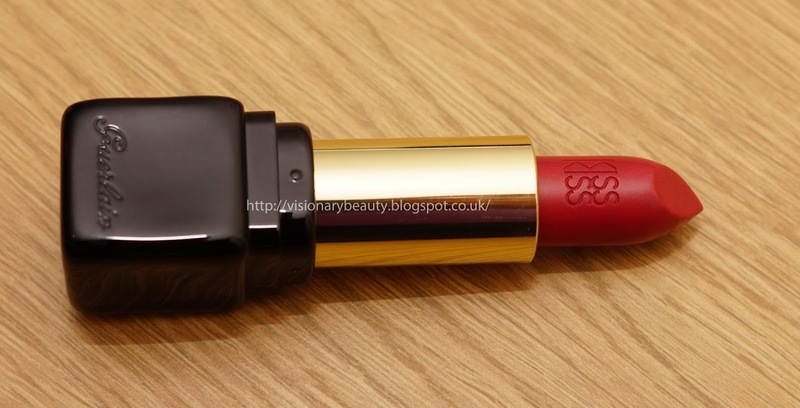 Its a lovey brightening shade to freshen up a look. 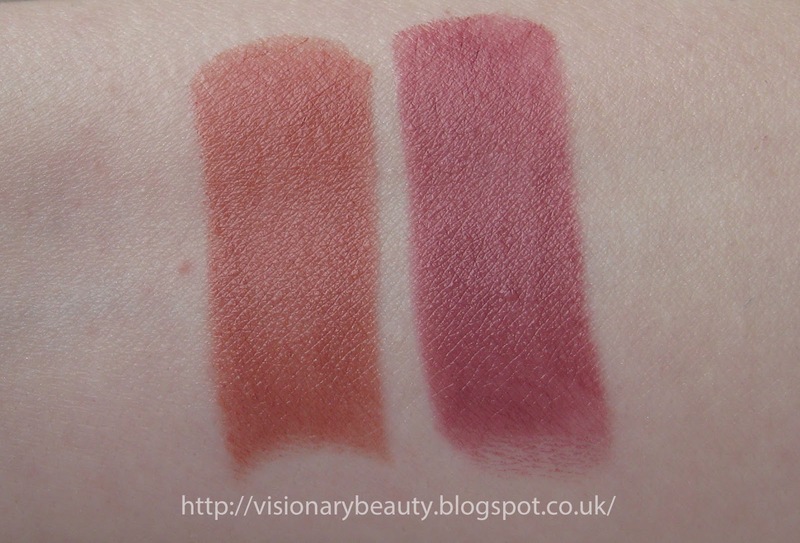 Lastly from the Colour Intense, Cream Lipsticks (£24 each), I got shades, Hush and Honesty. Hush is a warm rosy shade and Honesty is a purple/mauve, the pigment level is intense and both shades have a very long wear time. 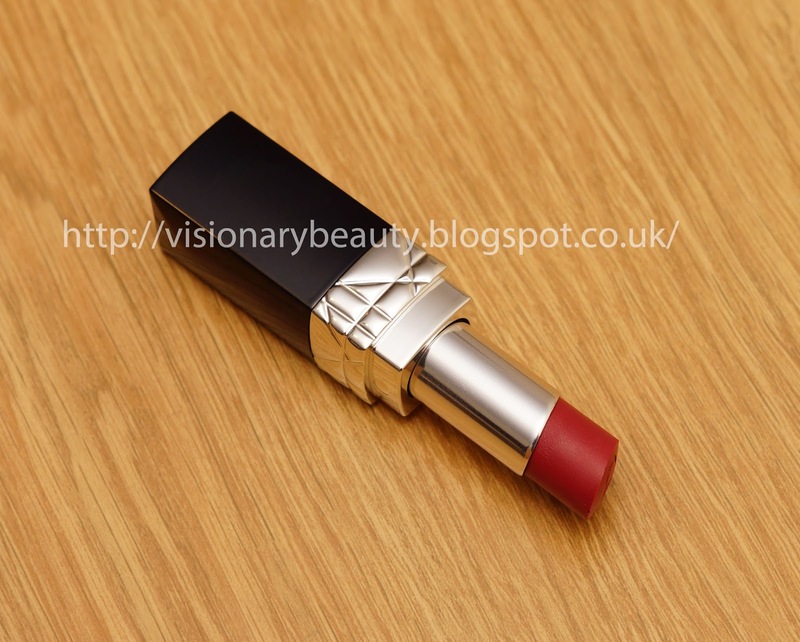 The lipsticks have a creamy formulation with a velvet feel and silky matte finish. I don't find these hydrating though they don't accentuate dry areas. I have to say I'm very impressed, the range has that luxurious feel to it with a high quality performance. I really like the idea of a range of easy to wear, classic shades (rather than following changes in fashions/trends) that creates a subtle and understated beauty. My mother bought me these from www.delilahcosmetics.com (unfortunately availability is limited, at the moment they seem only available in certain hotels/spas and their online site, my mother said the online order came very quickly and was well packaged.). Did I jump the gun? 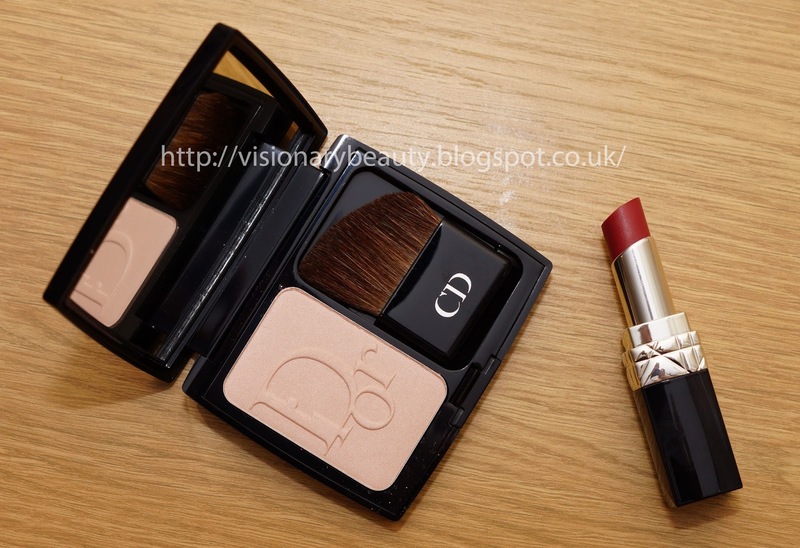 Though initially pleased with the new Guerlain KissKiss formula and YSL Couture palettes, I've had a bit of a turnaround after I bought more KissKiss lipsticks and another Couture palette. 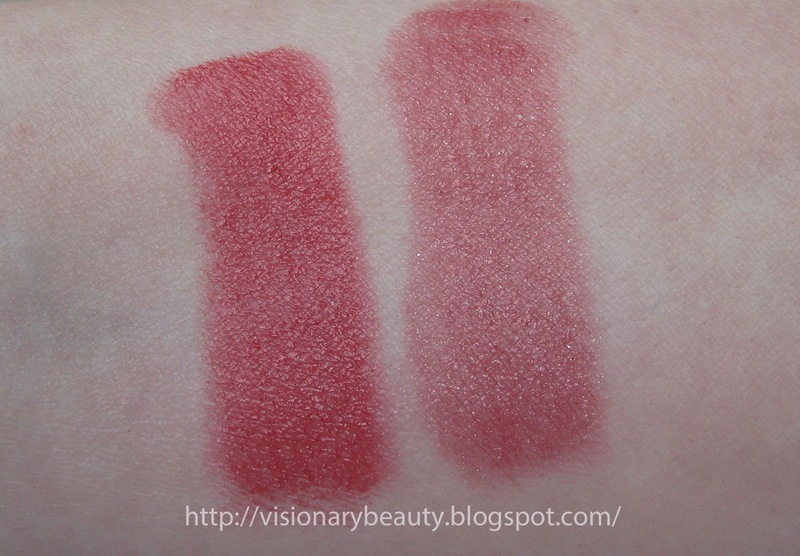 After my initial review of the KissKiss reformulation I went and bought two more shades; Red Insolence #320, mid toned red with satin finish and Fabulous Rose #363, plummy rose with shimmer (£26 each). Whilst I don't deny the creamy texture, hydrating feel combined with very good colour payoff, there was something starting to irk me about about these. I'm finding the texture a bit heavy/clingy and I really find the scent annoying. Whilst I love all the colours I have, I just don't enjoy wearing these anymore. 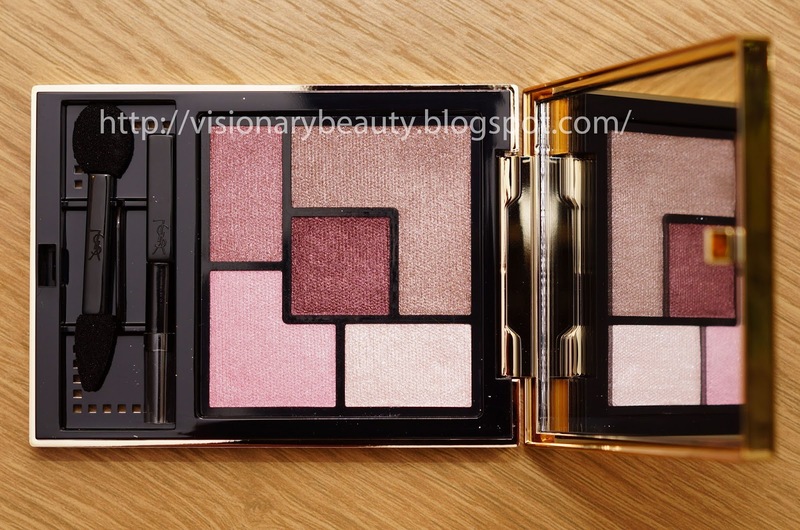 Moving onto YSL and I still maintain the the new eye shadow formula is a massive improvement over the older palettes but it was only after I bought Parisienne (£39.50) and realised that I wasn't using Saharienne that I knew something wasn't quite hitting the mark. 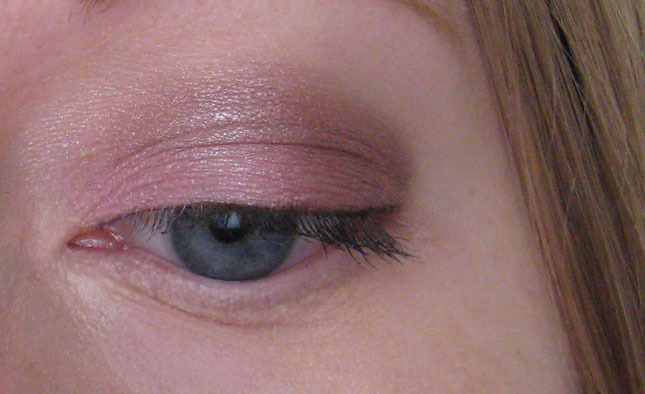 Parisienne contains a taupe with a slight shimmer finish, slightly frosty sparkling white, candy pink with satin finish, medium warm rose with slight shimmer finish and in the centre a plummy brown with satin finish (I would have preferred this shade to be more intense as I find it too insipid to use as a liner). 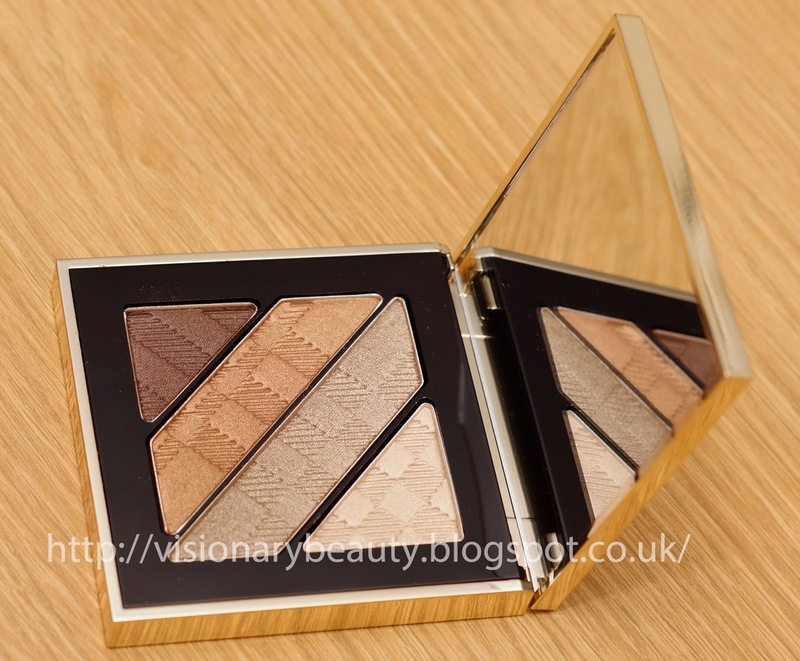 The shadows feel smooth (though not creamy) and blend effortlessly, however this is where the problem lies with the Couture palettes in that they blend too easily. Colour distinction between shades can easily be lost so that the shades do not stand out distinctly when applied and a look can quickly turn messy/muddy looking. 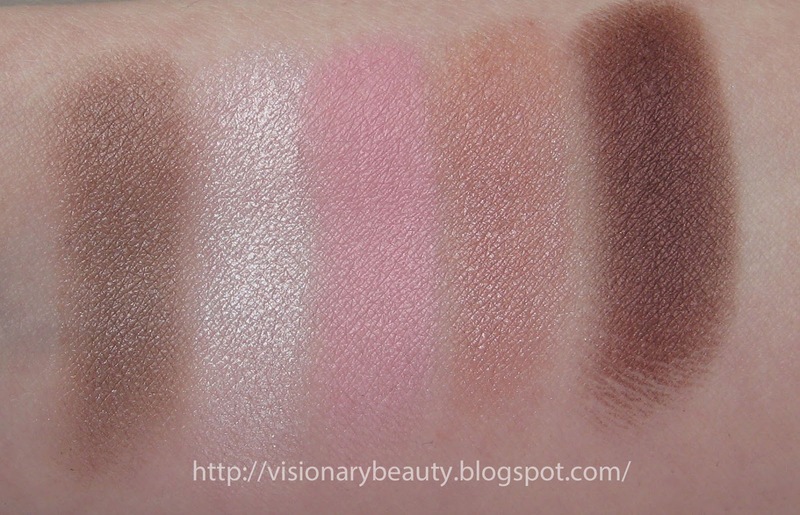 I just wish the shades applied as distinct as they swatch. 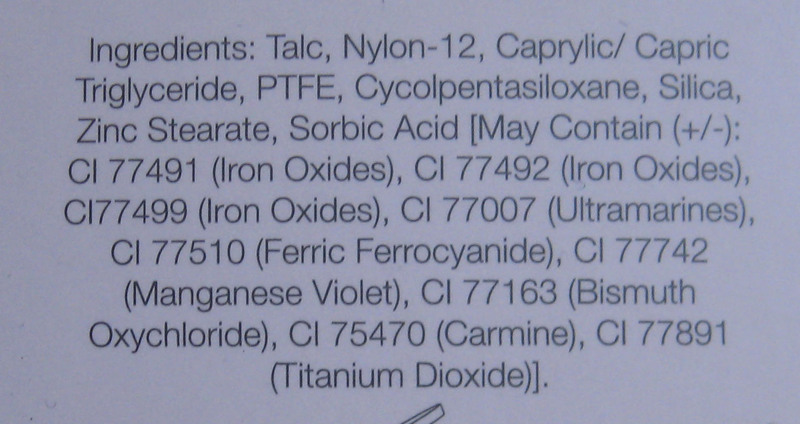 Below is as clear as I can get the colours. Though I buy a lot of makeup I am not a hoarder and am constantly editing my collection, weeding out any items that don't perform and these just aren't cutting it. Have you bought anything lately that you have changed your mind about after a longer use? I bought the Guerlain from John Lewis and the YSL from Boots. 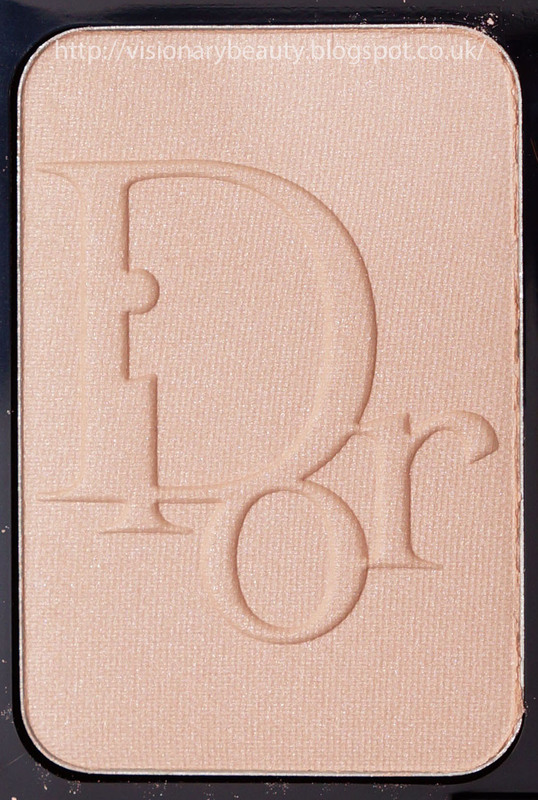 Released as part of a mini collection with the new Rouge Dior Baume, Diorblush in Starlight (£30) was also used as part of the autumn-winter 2014-2015 haute couture collection (makeup done by Peter Philips). I've not seen much coverage on this but its really not to be missed if you like a natural looking highlighter. Its a pale ivory with a very slight creamy pink tone, a change from all the golden toned highlighters that seem to be prevalent. 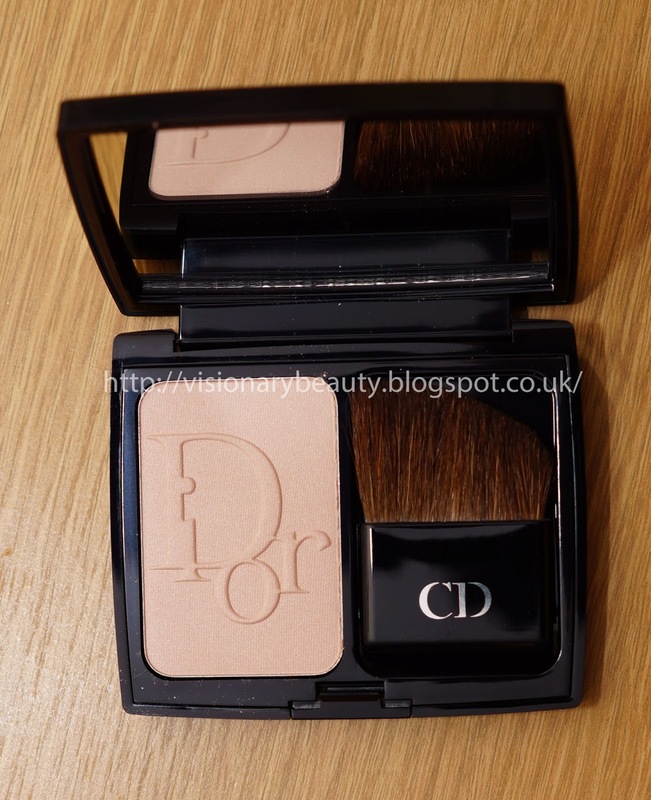 The powder feels smooth and has a long lasting wear. 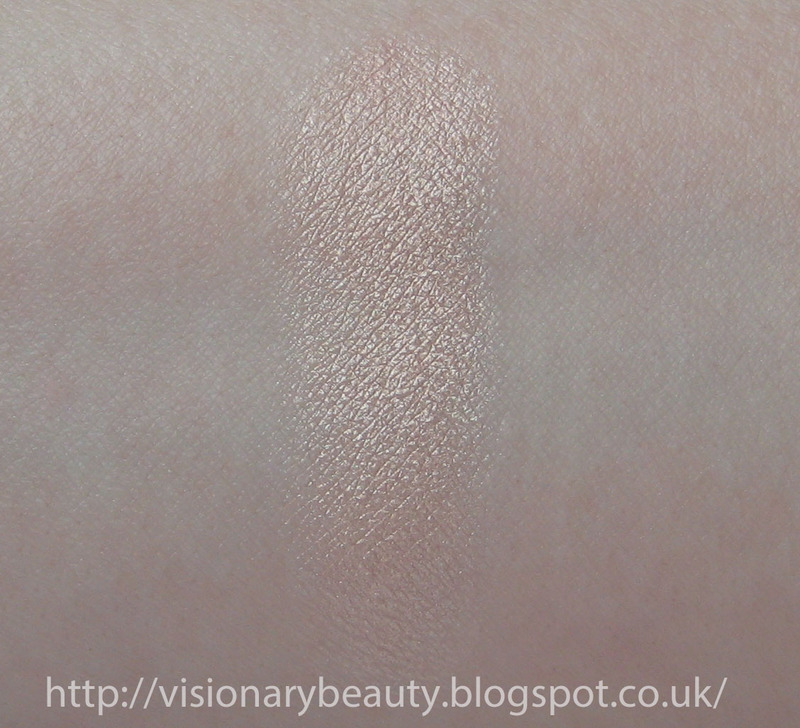 What makes this stand out from a lot of highlighters is the finish; its not frosty, nor very shimmery but more of a pearly glow. It adds that bit of brightness and natural highlight that catches the light, never looking over done. 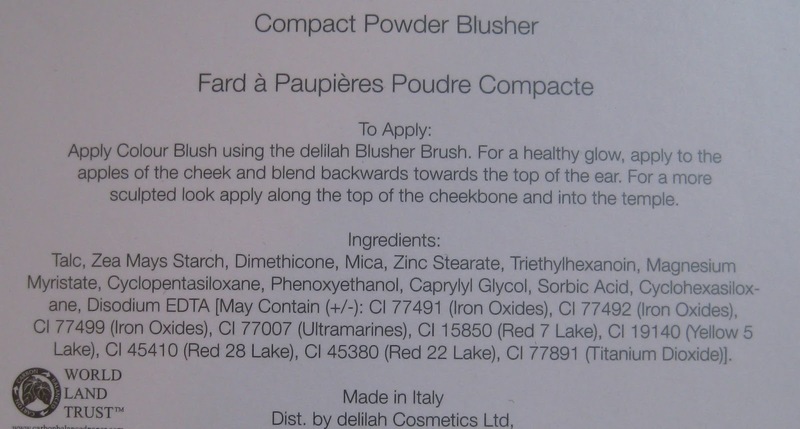 I've also been using this over blushers that apply a bit patchy or are too bright as this really works a trick to blend everything in and impart a soft diffused look. 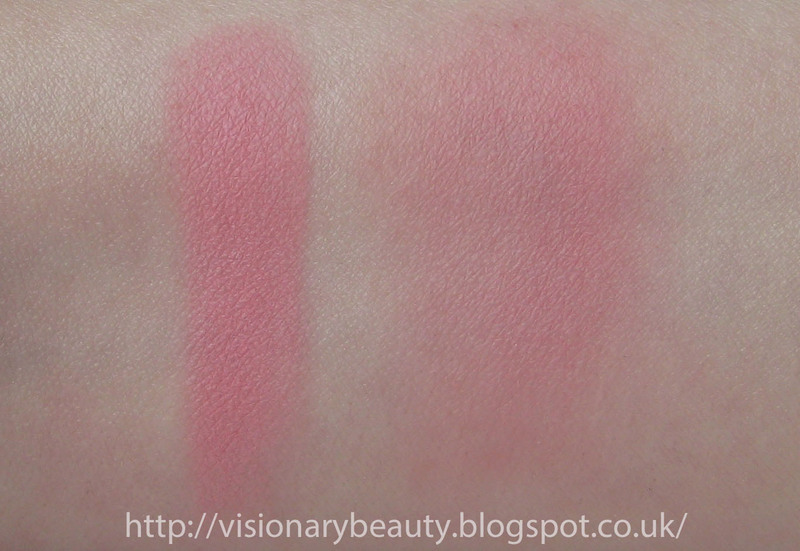 Taking a swatch of this on my pale skin was very difficult, I've shown it next to the Chanel Camelia de Plumes Highlighting powder, on the left (which looks unnatural and over the top on my skintone) to show the difference in finish. Whilst a lot of people favour a more heavily pigmented, high shimmered finish, I much prefer a natural looking highlighter and though I don't normally buy back ups of limited editions, I will do for this. There would be something inherently wrong for me to just pick up one item from a counter visit (it would get lonely in the bag) so I bought another Rouge Dior Baume. I went for a slightly more intense shade this time, Garden Party (£26). 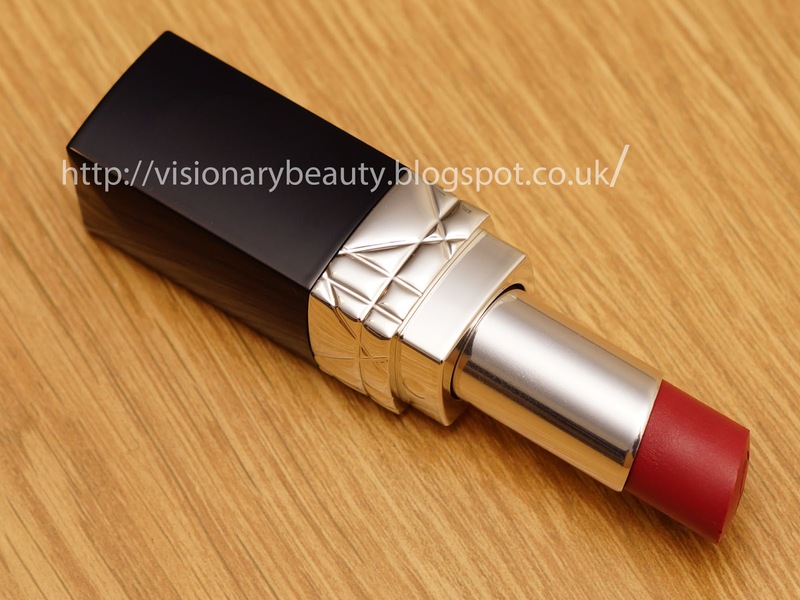 Its a wearable red, you can use it lightly as more of a stain or layer to intensify, though its not one of those reds that takes over the complexion. 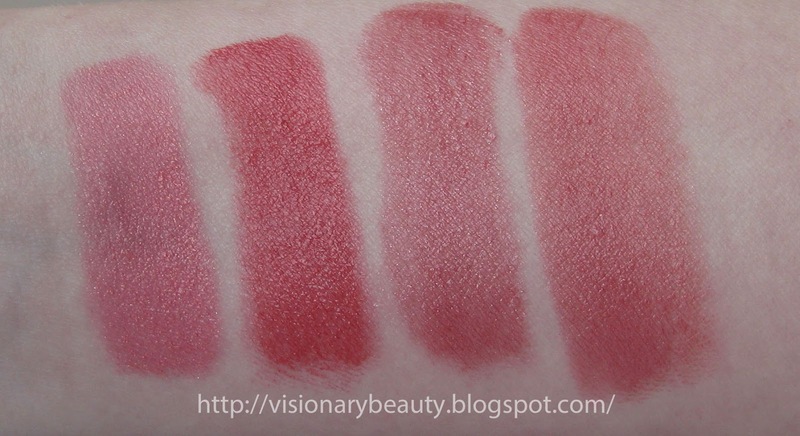 Swatched below with my other Rouge Baumes, L-R: Garden Party, Lili, Spring. I like the formula of these, they are not heavy/tacky and they provide hydration and are very comfortable to wear. 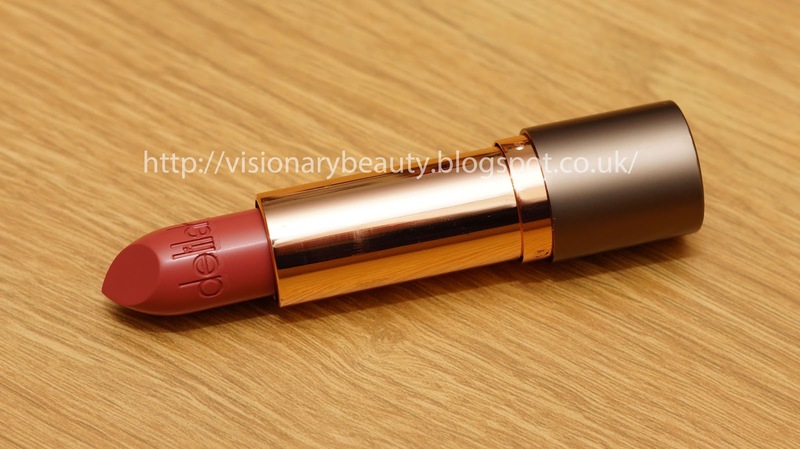 In these colder months I've found this formula and My Burberry lip glow balms the most forgiving for dry lips. 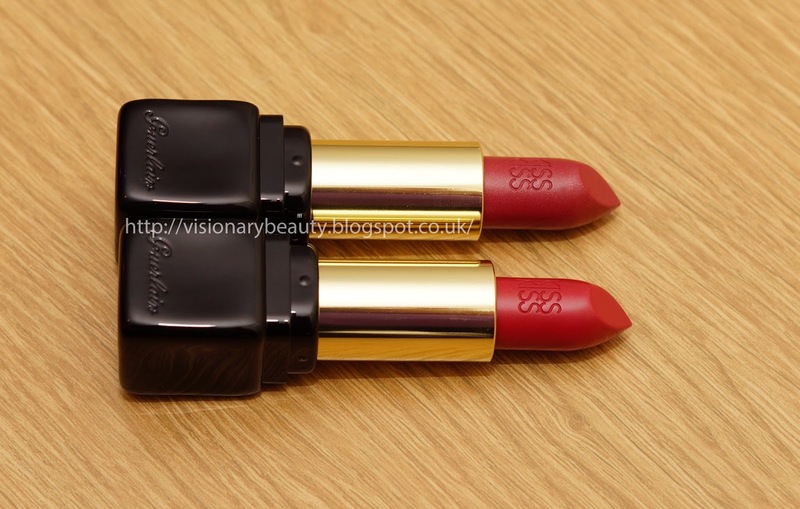 The Holiday Winter Glow Collection from Burberry comes in enticing gold limited edition packaging, the collection is concise as normal and includes some re-promoted shades. 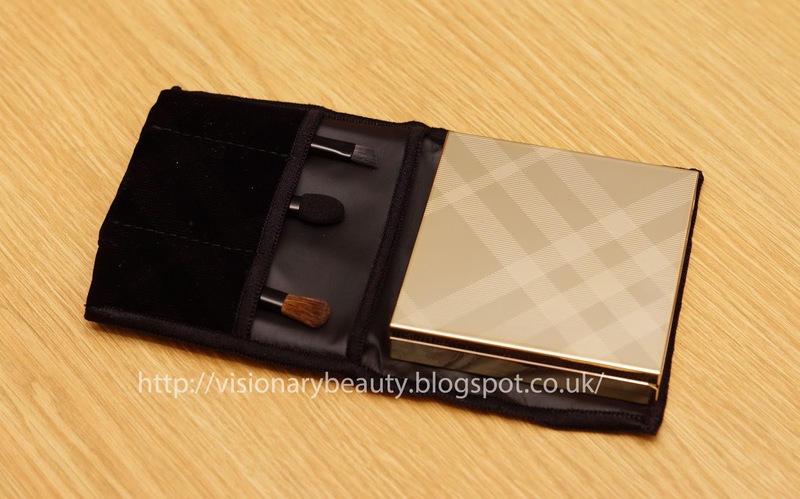 I bought the Gold Complete Eye Palette (£40). It contains a medium/deep satin brown, shimmery golden copper, shimmery golden toned khaki (the most complex shade, sometimes it looks almost pewter) and a shimmery golden beige. 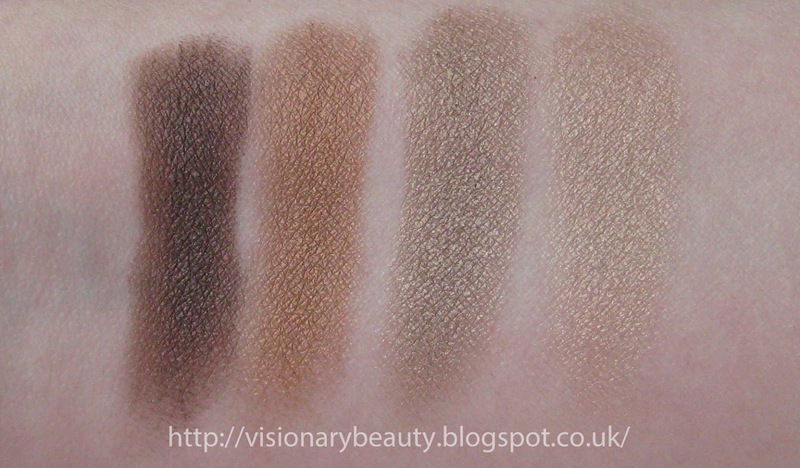 I love these shades, I had wondered that the brown and copper would pull too warm but that's not the case at all. 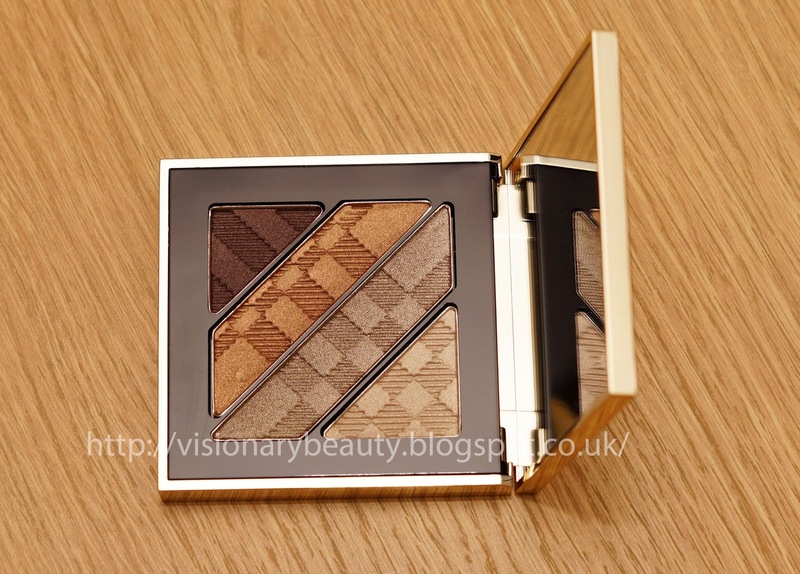 The shimmer level is perfect, Burberry shimmer is never over done. 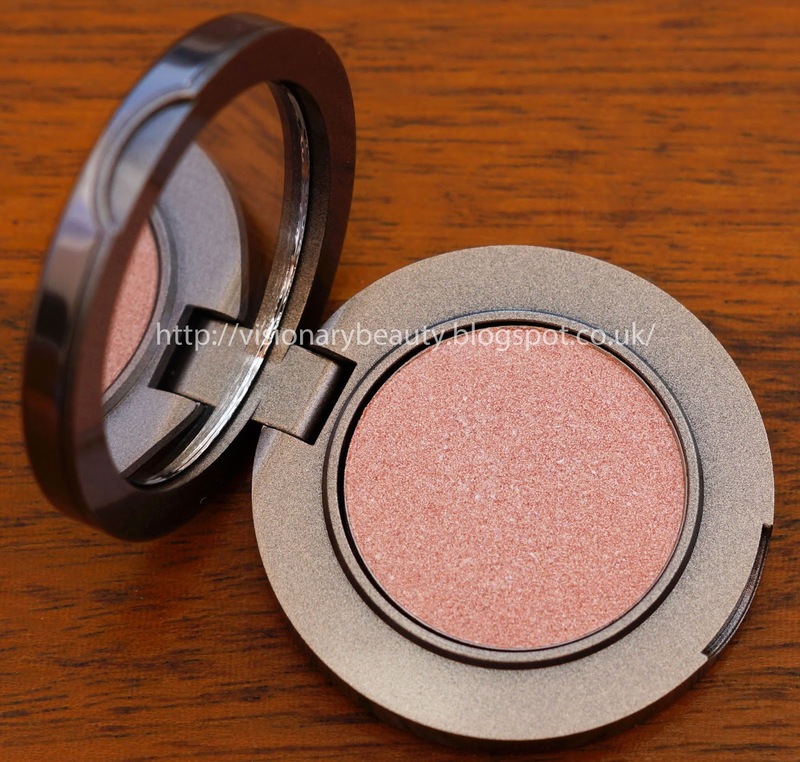 The shades have a soft, smooth texture, great pigmentation, a long wear time and no fall out. The shades really do seem to just blend themselves. 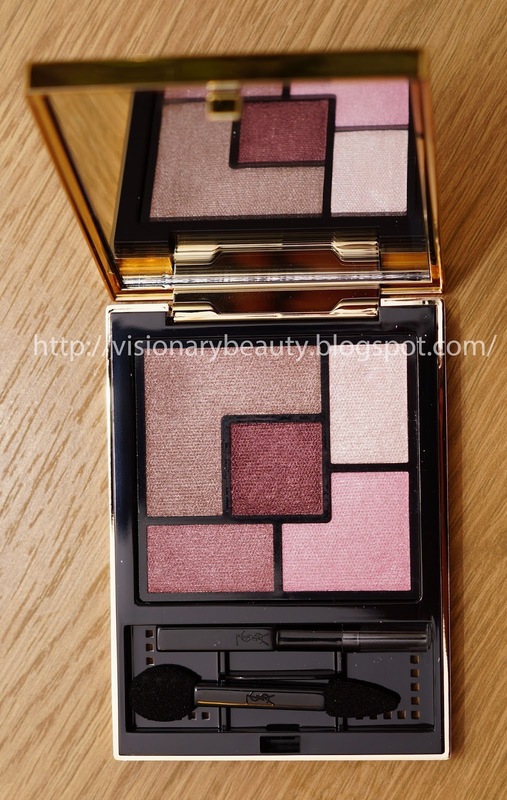 Though the initial release of complete eye palettes did not always mirror the quality of the single shadows, its seems that the more recent releases have the same high quality/performance as the singles. 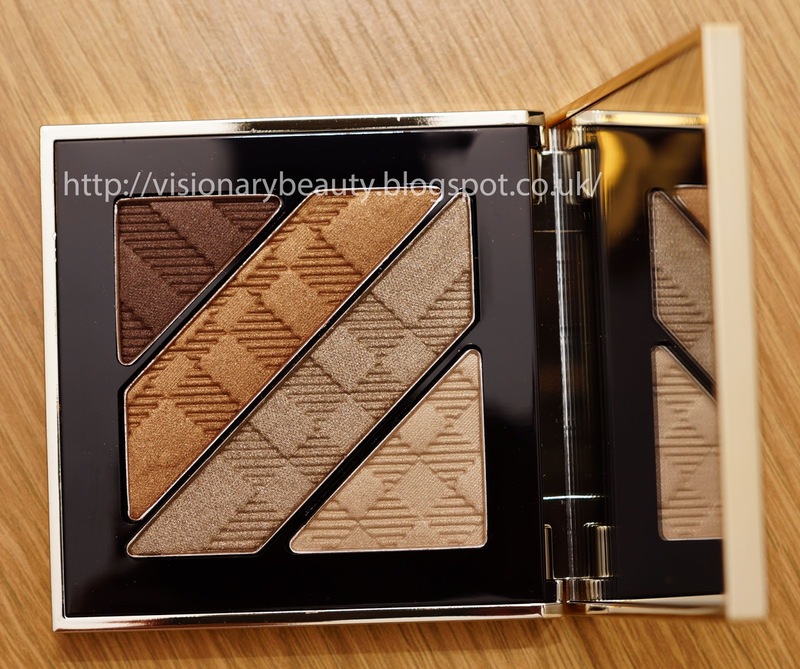 This is one of my favourite palettes I've bought this year, its just a breeze to apply and I can go for a lighter look or add more of the brown to intensify it. 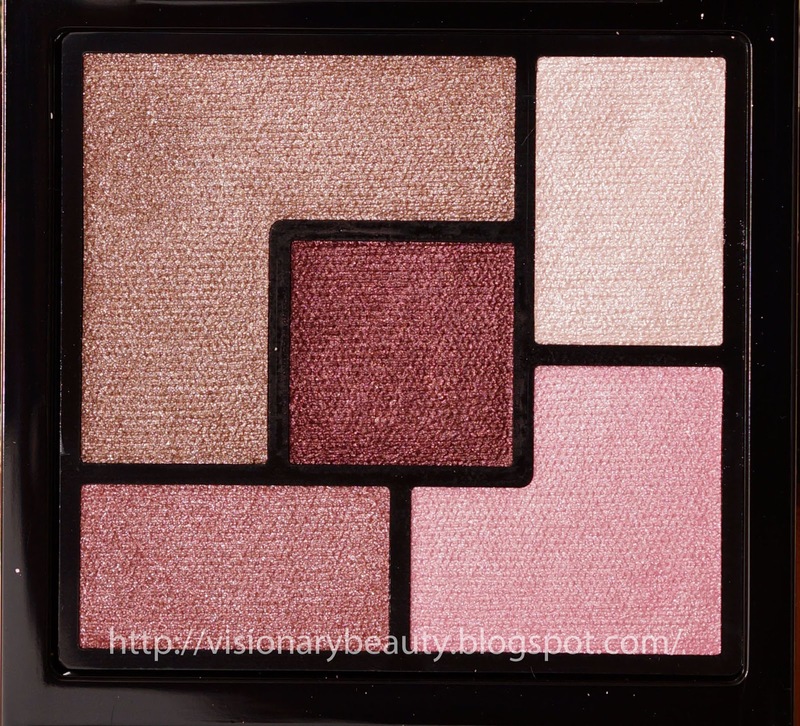 Its very much an easy to use, fuss free palette, containing a good mix of complementary, wearable shades, with interesting tones.